A Japanese term meaning “improvement”. I think of Kaizen as ‘continuous improvement’ or ‘continual change for the better, one small step at a time’, as this is how I first heard of the term. A lot of the successful Japanese manufacturing companies in automobiles and technology have used this exact approach to obtain massive success over time. What could you achieve if you just focused on taking one small step in the right direction today, and then another one every day after that? If we are fully present in the moment and aware of what is going on both internally and externally, we have a choice in what we decide to do. If you do not feel present, meditate, ground yourself, get outside, move and connect with your five senses in the moment and the world around you. This happens through a lengthy process of choices becoming actions, actions becoming habits, and all of your habits informing your character and ultimate legacy. A quote along these lines has been attributed to a Mr Wiseman in 1856, and it tells us that whatever we sow, we must later reap. It is therefore essential to engage in as many helpful actions as possible when we still have a choice and before they become habitual. The more engrained something is, the easier it is to do automatically, and the harder it can be to stop. We often don’t appreciate things that just fall into our lap, and we tend to value things much more when we put in some hard work to get it. Even people that build their own IKEA furniture rate the furniture as being more valuable than people who see that same furniture complete but haven’t made it themselves. I know I’d be more proud of the $3million I built up through hard work than the equivalent amount of money won through a lottery. How about you? So many people want a comfortable life and therefore stick to what feels safe. Unfortunately, if you are not willing to feel uncomfortable, your life will only get smaller over time. When you first step out of your comfort zone, it will be scary, you will feel awkward, and it may even feel unsafe. But is it really, or does it just feel threatening because it is new? If at this moment, you run back to what you are used to, you won’t grow. However, if you can persist through the initial pain, it will only get more comfortable in time, and your comfort zone will continue to expand and grow. What is real freedom to you? Doing whatever your parents, school, bosses or government wants you to do? UMM NO. This is called compliance. Being a rebel and doing the exact opposite of what your parents, school, bosses and government told you to do? STILL NO. This is called counterpliance and is always defined by what you have been shown to do, which means that you are still part of the system. Plus you may end up grounded, expelled, fired or in prison, which doesn’t sound too free to me. Just living for the moment and indulging in all of your passions and pleasures whenever you want, because YOLO, right? NOPE. This is called hedonism, and may feel great for a night, but not for a lifetime. It can have some pretty nasty side-effects too if you aren’t careful, including weight gain, disease, debt, dissatisfaction and even death. “The secret of getting ahead is getting started” – Mark Twain. In a book that I once read (the Willpower Instinct I think), I came across a 10-minute rule that I found surprisingly useful. Basically, if you are not sure if you are up for doing something, give it a go for 10 minutes, and if after 10 minutes you still don’t feel up to it, stop. I tried it a few times with going to the gym, and usually, once I get there and get into it, I’m fine, but my brain often tries to tell me that I am too tired before I go. This quote is fantastic because too often people think that the need to produce a masterpiece the first time they try or do something. If one of the most famous authors of all time produced crap on their first draft, why should we expect more on ours? The solution is to focus on the process, not the outcome, and just produce work before trying to edit, review or criticise what you have done. Most people have so much stuff to do at any one time that it is very difficult to ever get their to-do-list down to zero. This can cause anxiety and stress for some people, but the key is to have an excellent system to manage everything that comes in so that you don’t have to keep worrying and thinking about all of the things you need to do. Getting things done, or GTD is one such system. And the two-minute-rule from GTD says that small tasks should never go on your to-do-list if you can just get them done now. This rule alone means that my email inbox rarely has any unopened or unreplied emails. Throw caution to the wind and give it our best shot, knowing that we will learn and grow more from mistakes and setbacks than we ever would have by sitting back and criticising others? 13. FEEL THE FEAR AND DO IT ANYWAY! Susan Jeffers was my hero back when I read her top-selling self-help book. I couldn’t believe that I didn’t have to get rid of the fear before I acted fearlessly. The Confidence Gap by Russ Harris then further highlighted to me that the action of confidence tends to come before the feeling of confidence, not the other way around. Fear was designed to keep us safe as a hunter-gatherer but holds us back more in modern day life than it helps us sometimes. We need to instead assess the real level of risk whenever we feel fear, and go for it if the situation feels scary but is actually pretty safe. This could be horror movies, roller coaster rides, plane flights, or public speaking. How you are thinking and feeling in the moment is very much influenced by how you are thinking and feeling at the moment. If you feel on top of the world, you are likely to be feeling happy, thinking positively about yourself, others, the world and the future. Anything may feel possible. Then the next week you have a setback or get sick, and you start to feel depressed and hopeless and think negatively about yourself, others, the world and the future. Both can’t be true, if they are only a week apart, so it’s important to understand the power of WYSIATI. Don’t think too big picture if you are feeling flat and down, and try not to shop if you’re too hungry. The choices you’ll make once you’ve picked up a bit and have eaten something are likely to be very different. In many cultures around the world and through history, the acknowledging of our own mortality through prayer, meditation, reflection, ceremony, or celebration is much more common than it is in atheistic modern-day Western life. The phrase memento mori helped people to consider the transient nature of earthly life, our goods and our pursuits and enabled them to become humble and clarify what was really important to them. 2. if we go down one path, we cannot go down another track at the same time. – “Decisions are difficult for many reasons, some reaching down into the very socket of our being. John Gardner, in his novel Grendel, tells of a wise man who sums up his meditations on life’s mysteries in two simple but terrible postulates: “Things fade: alternatives exclude.” […] Decision invariably involves renunciation: for every yes there must be a no, each decision eliminating or killing other options (the root of the word decide means “slay,” as in homicide or suicide).” – Irvin Yalom (1991). Love’s executioner. p. 10. Penguin Books. If productivity is what you are going for, give yourself a closer deadline and someone to hold you accountable if you don’t meet it, and voila, productivity and efficiency improve! Nietzsche was a nihilist, which meant that he didn’t think the world had any meaning in it. Irvin Yalom said that even if the world is meaningless overall, it is still essential for each of us to find things that are personally meaningful to us, either as an individual or as a group. Viktor Frankl showed that in the concentration camps in WWII, those with some higher purpose beyond the camps were the ones who could manage to survive the horrible atrocities they faced every day. What’s personally meaningful to you? Where could you find purpose? Think of anyone who has done something groundbreaking or is still trying to do something pioneering today – Henry Ford, Walt Disney, Steve Jobs, Barack Obama, Richard Branson, Elon Musk, Bill Gates. I wonder how many of them were told to give up, grow up, stop being deluded or to think realistically? I’d say most of them. Just because something hasn’t been done before, doesn’t mean it can’t be. Otherwise, we wouldn’t have had the massive amount of progression that we have had over the past 200 years. Don’t fall into the trap of thinking that your life has to be a certain way just because everyone else is doing something a certain way and telling you that you should too. By clarifying your own values first and building your own hierarchy, you can then see if what you are currently doing is consistent with what is really important for you. If not, what changes could you make, that you’d be willing to make, that would help you to start heading in the right direction? The earlier that you make these changes, or at least concrete plans to make them, the higher chance there is that you will be happy with the path that you are on. The minimalist movement has really picked up in the last 20 years in response to most of us in the Western world having way too much stuff and realising that it doesn’t make us any happier. If anything, it causes us more stress. Clothing used to be a scarce and valuable thing. Now wardrobes and houses are overflowing, and storage facilities are popping up everywhere to help clear some space. What if we just bought fewer things, and focused more on what really matters: our connections with the important people in our lives. Robert Waldinger, director of the Harvard study of Adult Development, found that in the end, close relationships are more critical to our health and happiness than anything else. Is the dog above trying to read, or is it merely sniffing the book? Occam’s razor is why conspiracy theories are never likely to be true. Think about the moon landing, or 9/11, or the Illuminati, flat earth theories, or any other conspiracy out there. For the plot to be real, there are so many added levels that would have all had to run flawlessly for them to work out, and so many people would have had to keep this a secret for such an extended period of time without turning themselves in or trying to make money out of it in a tell-all. It’s much more likely that there is no conspiracy. Occam’s razor can also be applied to losing weight, sleeping well, getting stronger, or improving any skill. Some people have complicated theories, but usually, the answer lies in relatively simple explanations. Doing too much, or complicating things beyond what is necessary often backfires. Reduce things back to the bare essentials, and see what happens. The law of diminishing returns says that each time we do something to receive a benefit, the benefit will be less and less. Let’s say you order this massive stack of pancakes in the picture above. The first pancake may taste amazing, and the pleasure received is a 9 out of 10. Each bite is likely to be slightly less enjoyable than the one before, especially after you become full. If you somehow managed to get through the whole stack, the last bite could be a 1 out of 10 on the pleasure scale. Come back for pancakes again next month, however, and pleasure bounces back up to a 9 out of 10 again. The solution is to wait for long enough between doing the same thing twice so that you enjoy it just as much the next time. If you know why you are doing something, try not to worry about what others think. People who do not understand why you are doing what you are doing will choose to see it from their point of view. If they could not do what you are without getting something in return, they will assume the same intention is within you. But being kind is a reward within itself. If you can give just for the sake of it, do it. You can thank me later. As far as I see the world, we only have one life to live. We can spend it doing what others expect of us, or we can spend it doing what is right for us. We can blame everyone else for how things turn out, or we can go our own way. Regardless of what you decide, time passes, and eventually, you will either feel that you made the most of what you had, or you will accumulate regrets. I try to live my life with no regrets, and I wish the same for you too. How Much Could You Change Your Personality in a Year? Change is Possible (and Inevitable)! You have put together a beautiful, enriching philosophy of life. Thank you! I need to learn to write better posts I have so many ideas but communicating by writing has never been a strong suit of mine. I’m very good at communicating to people verbally. But this helped me learn how to better layout my posts. As a nurse it’s important to be able to communicate by writing as well. which is why I joined WordPress. Have a good day. Just wanted you to know you’ve inspired me to write better, and many other things. I need to get back on my feet from a bad accident. I’m glad it’s helped. I’ve experimented with so many different styles over the last 3 years. WordPress is great for that. I look forward to reading what you create! 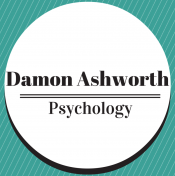 Many thanks to Dr. Damon Ashworth for the inspiration! Thanks for an inspiring list. Thank you. I always appreciate your honest feedback! YES YES YESSSSSS!!!! Love this post and everything it stands for! Awesome post.. but if only it would be so easy.. Brilliant and inspirational! I’m saving this on Pocket so I can refer to it often. Thanks for waking me up to some things I need to address. Well thought out and presented. Is a great collection of wisdom and inspiration. I had to share this because I feel it’s so important to keep everything in perspective. So much great inspiration here, Well worth the time to read it. Thank you. I hope it helps! Awesome Article. Reblogged this on Memoirs of a Mental Illness. Hope that others will get as much out of it as I did. Thanks so much. Wendy. absolutely well said!!!! Thank you! I needed this today! Thank you. I’m glad I could help! Thank you for this! It led me to a “flash of genius” to help refocus some negative energy in my home. Wonderful timing indeed! Thanks for writing this post and sharing. … and the images, all lovely. I came across this when I searched the word Kaizen. I love the way you have supported modern psychology with quotations from the old masters. This is really good, and I’m extremely impressed. I’m glad I discovered you. I came back through to read a little more. Nice blog. Keep writing. What an incredible post and insight, loved it, thank you! Reblogged this on Tracey in Maine.